A community is coming together after an 8-year-old girl was struck and killed in the backyard of her Brook Park home on Saturday. 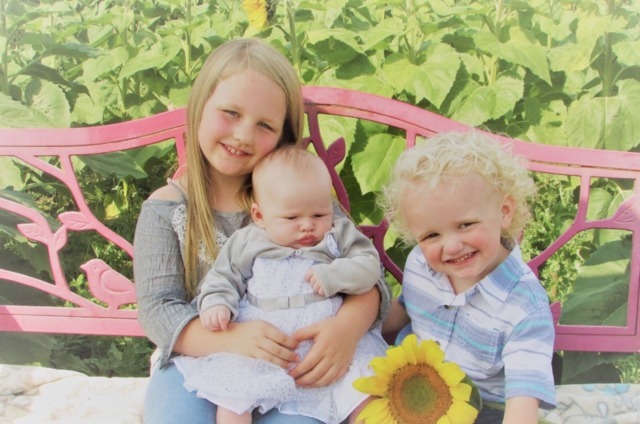 Khloe Mae Nida was playing in her aunt's backyard when she was hit by a car that came speeding up the driveway, according to the GoFundMe page created by her aunt and police. Khloe was described as "smart, brave, and talented" who always looked out for her younger brother and sister. Khloe pictured with her brother and sister. Photo courtesy of GoFundMe. Her family started a GoFundMe to help fund her memorial and funeral costs. Local businesses are coming together to offer their support for the family and give the community ways to help the family during this devastating time. Your Team Spirit Wear in Strongsville said they are offering #khloenide T-shirts for $15.00 each. For each shirt sold, $6.00 will go to the #khloenida GofundMe account. Berea-Midpark High School said they are changing the theme for the football game on Friday, Sept. 14 to teal/blue to honor Khloe, who was a third-grader and fellow cheerleader.